“I really recommend Be You Till Full if you are wanting to relax and connect with your inner self. Maria is a beautiful soul with a wonderful aura of calmness, she takes you through step-by-step so you don’t even need to know what it is all about beforehand. Essentially though, the gong bath is a relaxing meditation to the sound of a gong being played. The intricate sounds that resonate from the gong fill your head and help to clear away thoughts, so you can switch off more easily. After a while you start to actually feel the vibrations in the room from the gong, like the sound waves are flowing over you and inside of you, hence the ‘gong bath’ name. I always leave feeling calm and rejuvenated. Before the gong bath you share your intentions or worries with the circle, the others listen to you but don’t give any advice. Maria says we know the answers within ourselves, but we often forget to listen to ourself. The simple act of saying out loud what I want to do in life (maybe next week/maybe next year) or saying whatever it is that is on my mind and bugging me, it really helps put it into perspective. You can then focus on that thought when you are listening to the gong. I leave with more self-confidence that I CAN achieve my plans and with a focus on what I want to do, or I feel that I have released painful worries and no longer have that weight on my shoulders. It is honestly like an aided self-help process and it really works. “There are not many people who I’ve met that I can wholeheartedly say have completely changed the way I view life in such a positive way, with immediate effect. Maria is definitely one of those people. She has a gift. “I met Maria at a yoga studio where I was participating in her meditation class. I really enjoyed her work and her approach was very interesting. It was unlike any other class that I had attended. Maria connected the whole group and paired us up, I felt that she brought the energies of the whole class into one union. It was such a powerful experience I had to connect up with her after the class. After talking with Maria I understood that meditation was only one of a number of healing tools that she offered. I booked in for a block of Reiki sessions with Maria and that was such a turning point in my life’s journey. I looked forward to each and every session with Maria as I never quite knew what to expect from each one. Maria combined her Reiki with family constellations, massage and visualisations and she intuitively knew which one I needed on each occasion to break through each layer of resistance i had been holding onto. The family constellations that Maria worked with me on made me realise that I had been holding onto so much family trauma that I wasn’t even conscious of. I felt so blessed to be working with Maria she was pulling out all of her different tools to work with me, bringing me forward each and every session. Maria could clearly see my energy shifts and quite often she would massage the energies away and finish the session with Reiki after which point I would be layed out in blissful peace. 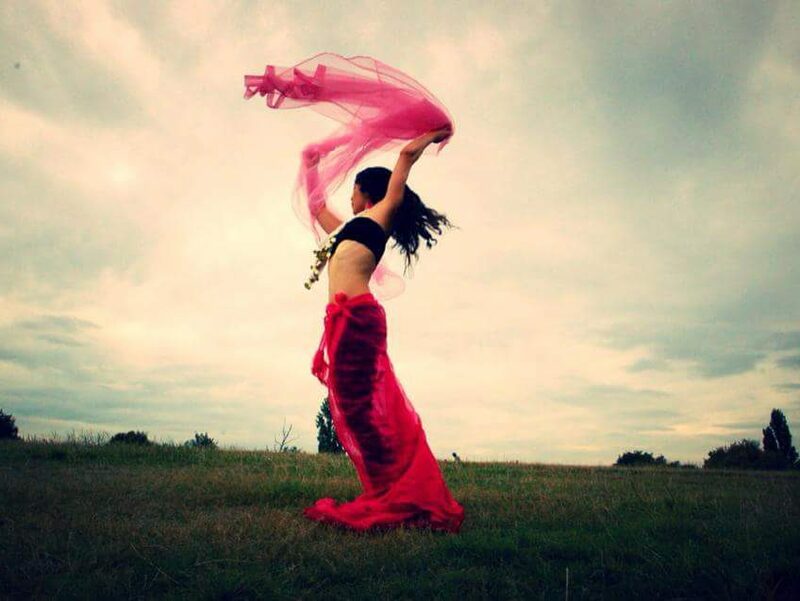 Maria would chant mantras with me each session to start and I would feel deeply connected into her space. Maria always held such a lovely, trusting space where she would subtly bring out my subconscious mind so that she could work on the blockages that held me back from all that I desired. In my time knowing and working with Maria she has helped me manifest huge things in my life and let go of all that has not served me. I quit my job, started up a new business and I can honestly say I have never felt so happy and grounded in my life as I do now and this is all linked into the great work of Maria. She was like a angel sent down to heal me! In more recent days I have watched Maria manifest some desires of her own and she is now the proud owner of a beautiful heart gong and I am a regular client In her gong bath, sound healing sessions. The gong bath is a must for each and every one of us in our busy lives as it grounds you down to Mother Earth with the beautiful sounds vibrating over you. I look forward to every bath that she holds. With Maria’s gong bath she also connects the whole group energies and each time you feel like you have gained a larger family! I would recommend Maria’s work to all. Whether you need to release some trauma in your life or whether you just want to dust some cobwebs away and get some clarity in your life’s path to move up a level, Maria is a must see. Maria has a immensely sized tool kit to work with in helping you become your greatest version, she is so tuned into what is needed and her heart is always so wide open and giving to all that comes to her. “Maria is amazing at what she does! I had my first session a few weeks ago and afterwards I literally felt like a different person as if my body had been reset. Maria was very sensitive and intuitive as to what treatment I needed. I felt the genuine care she has and gives you during the healing. I originally went to her for a massage but she asked if I’d like to try the gong for sound healing as well so I said I’d try it. It was such a beautifully calming experience and worked perfectly after my massage, my body was relaxed and then the gong completely settled my energy. I felt so grounded at the end of the session but I also felt light and 2 feet taller as my muscles could breathe and were elongated from the massage. “Maria has a gentle and calm energy and holds the space very well. I attended her shamanic journeying working with drumming and crystals. She is intuitive and under her guidance, I’ve gained more insights with the theme I was working on. Thank you Maria. “I just wanted to say you have a REAL TALENT! I worked on a number of areas in my life with Maria: family relationships, finances, career, health and more. She helped me to break down each area into smaller chunks and set goals to improve each area. Her method of holistic coaching was very useful in that it helped me to see ‘where I stood’ in different areas of my life, then being able to focus on improving them more effectively. I’m very happy that I can say ALL the areas of my life that I’ve worked on with Maria have vastly improved. I would recommend Maria to anyone who wants to make changes and improvements in their life but unsure where to begin. “Maria Love Yoo reminded me today that I have someone great behind me. I might moan but he kisses my shoulders if I serious d.o.m.s and massages my back from a heavy back sessions. Eats all my vegetarian meals likes its the best thing since slice bread, listens and gives advice although he knows I probably wont follow it until I feel or believe its right for me. All that I have asked of him recently in man; each day he tries to do it, and to be honest he really doesn’t have too. I also told him the likely hood of ever being a faceboook friend of mine is slim lool. Yet today I share my gratitude and I am thanking the universe for giving me this opportunity to accept, receive, enjoy and be empowered by the fact that someone is willing to experience all my ups and downs. “I approached Maria as a Life Coach and after our session, I believe she helped steer me in a happier direction in my life. Maria listened to my situation and allowed me to express myself clearly. Maria helped me understand the reasons why I was suffering physically as a result of lack of emotional well being. Maria encourages people to use various techniques to deal with emotional trauma, moreover she took the effort to email me literature on these techniques and how they could help me. In addition we went through a note taking exercise and set definitive goals for my progress – which helped me approach solving my problems with more immediacy. I want to thank you so much for the energy and vitality that you put into the back and neck massage you gave me at my treatment yesterday. It made a real difference – my back has not felt so relaxed and so free of tension for a long time. I could sense that you had that dedication and really cared in making a difference. I could feel that you were very warm and positive. It was also apparent to me that you had that immense sense of happiness and pride when you told me where to find your blog. Having read your blog, I can understand why. I found your writings very inspiring and uplifting, particularly when you raised the point that so many people, even when they try to be positive, can be dragged down by the negativities that can so often bring about depression. But… to be able to change these negative experiences into a positive learning opportunity to move on in a more objective way is something that would never occur to most people. Your advice is a way out of falling into the spiralling trap of brooding and resentment. For all of us it is never too late to learn, and reading your blog was extremely refreshing. All who read it should be grateful to you for sharing your experience of life’s lessons and your care and love for others. Some people in life never see opportunities for change – others see many possible opportunities but are unable to focus on which way to go and never take any of them. I hope that as many people as possible find and read your blog and that it helps and inspires them to make the change that they need in their lives. “Hello Maria, you did a massage, reiki and EFT on me. The things you said captured my interest and what I believe in as I am a person who gives sooo much and am spiritual too. You had a profound affect on me today – a positive aura and I felt I could connect with you as I have had major life changing things happen to me but happiness was the key to my goal to unload the stresses and traumas. Maria is such a calm, beautiful and inspirational person. After a mixed massage and reiki session not only did I feel so much better but she provided a much needed emotional release of all my stresses! An amazing holistic experience which greatly improved the way I feel. I have been to one of Maria’s Women Circles with a friend of mine. Maria welcomed us with a smile, love tea and a warm atmosphere. She is a calm, caring, empathic and inspiring person and I can feel her good energy when she is close to me. Her circle was a truly amazing experience where I had the possibility to relate to other women on a deep level, trusting them and opening up. I have received calmness, understanding and good vibes that I carried with me. I would definitely recommend Maria as a guide through your healing journey. Maria is just a beautiful energy, she is warm, welcoming and compassionate. I found myself feeling safe yet free to be me in her presence due to her caring and relaxed nature. Her women’s circle is a safe space to connect with one’s self and others in a respectful and safe environment. I thoroughly enjoyed the session along with the family ancestral experience- I found it to be very interesting and I could understand all parts of the process. I count myself lucky to have met this wonderful lady!